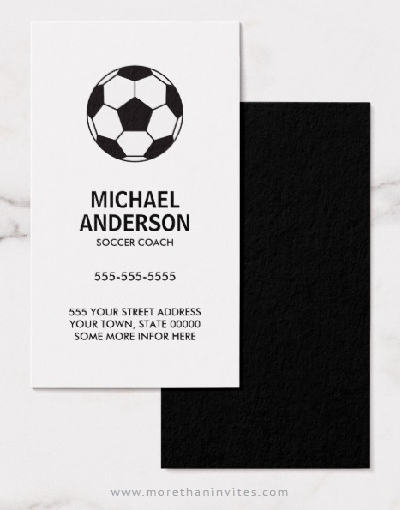 Vertical soccer business cards featuring a black and white soccer ball. Customizable name, title / business name and contact information on the front. Black back. The color on the back can be changed with Zazzle’s customisation tool. Available from Zazzle.